It starts like a fairy tale: mega-talented Tajik boy becomes a musical hero and leader of his own family band. In Israel, the country the family (grandfather Alajev, his wife and grandchildren) moved to after the Soviet Union’s collapse, they live, rehearse and make music together under one roof. The filmmakers follow the group at home and on tour, revealing the spectacular performances and fun family dinners, as well as the darker sides to this success story. Patriarch Alajev is a despot who interferes with everyone and everything, demanding unconditional loyalty. The women need to know their place: at home with the kids. But not everyone complies with Alajev’s laws and vagaries without putting up a fight and some – in spite of his wrath – go their own way. A path that is always accompanied by the rousing music that is the family’s heritage. Free admission. If only you'd kept them! 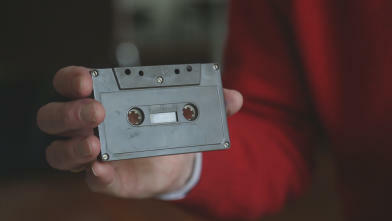 After vinyl, cassettes are also making a comeback. Contemporary hipsters, midlife daydreamers and octogenarian pioneers idiosyncratically declare their love for the handy format. With musicians Henry Rollins and Thurston Moore, and a leading role for Dutch inventor Lou Ottens. In a meticulous reconstruction of a famous New York studio session, musicians jam for hours non-stop. 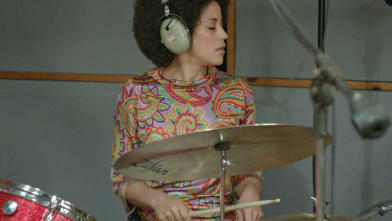 Inspired by Godard’s film portrait of The Rolling Stones recording their hit single Sympathy for the Devil, Stan Douglas evokes a 1973 Miles Davis recording session. Passionate Amr Salah is an Egyptian jazz composer and musician trying to organise the Cairo Jazz Festival; a risky undertaking, not only because of his limited experience, but mainly also due to the increasingly intolerant social climate. 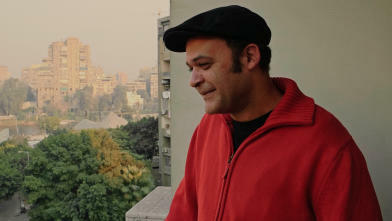 This political music documentary simultaneously paints an atmospheric portrait of the Egyptian capital.